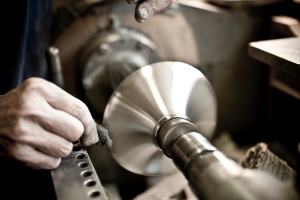 Danforth Pewter’s heritage stretches back to 1755, when Thomas Danforth II opened a pewter workshop in colonial Connecticut. Today, Danforth Pewter handcrafts a beautiful line of jewelry, ornaments, oil lamps, vases, kitchenware and baby and wedding gifts from 100% lead-free pewter. 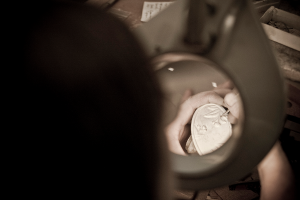 The gallery store has observation windows so guests can see into the workshop where each piece of Danforth Pewter is made. The knowledgeable store staff explains each step of the process while guests watch talented craftspeople. Guests can also learn about the history of pewter-making in America at the history wall, which includes a display of colonial era Danforth Pewter pieces from the family’s private collection. 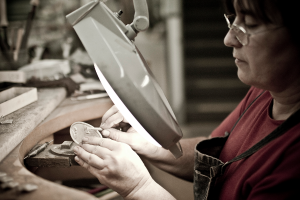 Workshop Production Hours: June-August: Monday-Friday 9:30 a.m. to 3:00 p.m. Remainder of year: Monday-Friday 9:30 a.m. to 4:00 p.m. Store Hours: Year round – Monday through Saturday 9:00 a.m to 5:30 p.m., Sunday 11:00 a.m. to 4:00 p.m.
Free viewing. Motorcoach and Bike Tours receive a special discount on product purchases. Ample parking, fully accessible, clean restrooms. A DVD about Danforth Pewter is available upon request to tour operators.